New to boating? Here’s where to start. There’s lots of reasons why our customers want to give boating a try. Some like the idea of adopting boating as a fun weekend activity for their families. Some want to develop their skills and qualifications for a future career at sea. Some fancy the idea of hiring a boat in the Med for a once-in-a-lifetime holiday break. And some simply want to experience the thrill of speeding across the waves and the freedom of exploring their local waters. If you’re simply looking for a new hobby and you’re completely fresh to boating, there are a few beginner-level courses available to give you a taste of life on the water. 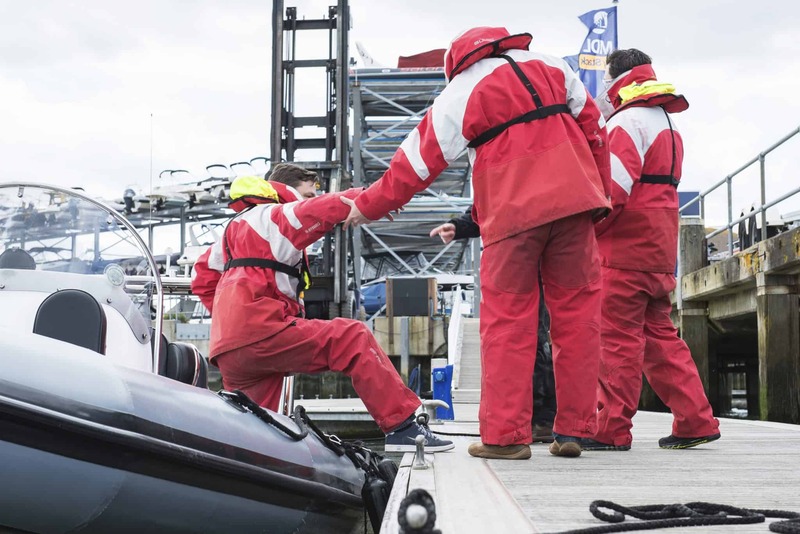 On the powerboating side, the two-day RYA Level 2 course is a great all-round introduction. Not only will you learn all the essential skills for power boating, but you’ll also receive a free International Certificate of Competence (ICC) assessment and VHF radio training as part of the course – which means you’ll be fully qualified to hire a powerboat in UK and European waters. Of course, not every beginner student wants to start chartering a boat right away – some are just looking to test the waters with their family. If that sounds like you, the RYA Level 1 course provides the perfect one-day taster for the experience of powerboating. You’ll simply learn basic boat handling and safety skills in a relaxed, encouraging environment. As for motor cruising, it’s a good idea to start with the theory first. The RYA Essential Seamanship and Navigation course provides you with a full understanding of navigation techniques and rules, and makes for great preparation for the practical RYA Helmsman course . But what if you’re looking to make a living from sailing? For boaters looking to develop professional skills at sea, it’s wise to build a solid foundation of theory knowledge before moving onto the practical offshore courses. Unless you have them already, be sure to get the RYA Sea Survival, RYA First Aid and VHF Radio qualifications under your belt first – these are essential for any budding commercial skipper. From there, you can start developing your practical skills. All power boaters should start with Level 2 – after that, aspiring tender operators can jump straight to the specialist RYA Tender Operators course, while others can go for the RYA Intermediate course and eventually tackle the RYA Advanced Powerboat exam. Commercial endorsement can also be applied to your Level 2 certificate to help build your resume. For motor cruisers, the next steps after the basic safety qualifications are the RYA Day Skipper theory and practical courses – with the ultimate goal for most professionals being the expert-level RYA MCA Yachtmaster Power practical certificate. Again, if you require commercial endorsement, this can be applied to your Day Skipper practical qualification. Still not sure which course is right for you? No worries – why not have a chat with one of our friendly instructors? They can provide impartial expert advice on the best course progression for your individual skill and knowledge level. Call Ocean Sports Tuition on 02381 242159 today!